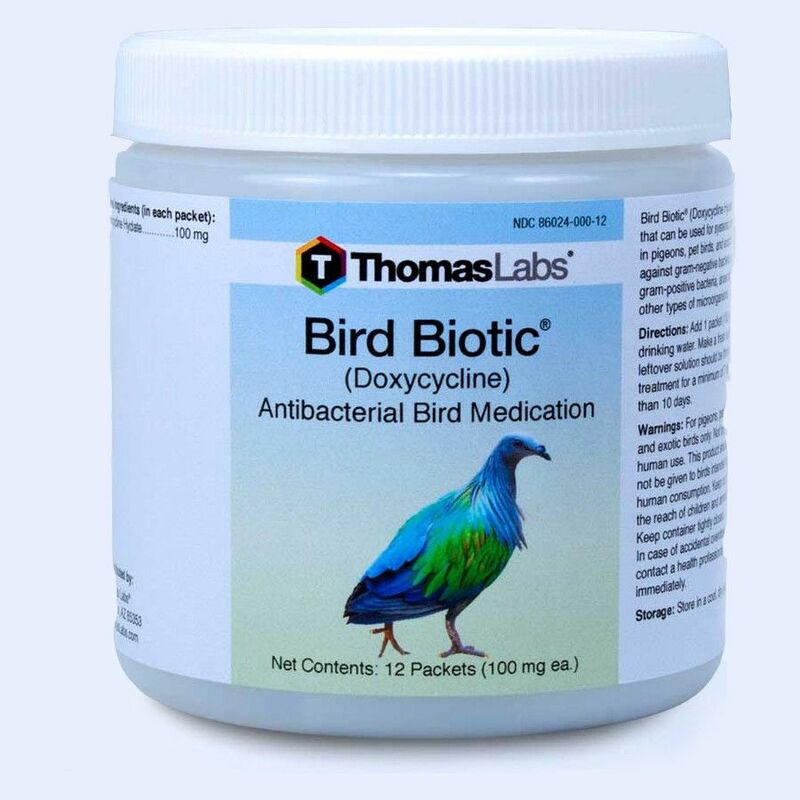 Do to a significant price increase in the market for the antibiotic Doxycycline, Thomas Labs will be transitioning our Bird Biotic product from tablets and capsules to a new powdered form of Doxycycline - Bird Biotic Single Use Packets. While we regret not being able to continue to sell (once our on hand supply runs out) this common antibiotic, we feel that the price increase passed along to us by the manufacturers is beyond excessive and would make it a cost prohibitive purchase for consumers. For additional information please call 800-359-8387. Bird Biotic Doxycycline 100 mg is for systemic and local infections in pet birds exotic gamebirds and racing pigeons. Directions: Add contents of one packet (100mg) to 8 ounces of drinking water. Make a fresh solution daily. Continue treatment for 7-10 days. Caution: Keep out of reach of children. Bird Antibiotics are not intended for human consumption. Not to be given to birds that are intended for food use.